The roster to Injustice just increased by two; Bane and Lex Luthor are confirmed characters for NetherRealm’s Injustice: Gods Among Us. Thanks go to @Gamer magazine and Comic Book Movies for the reveal. 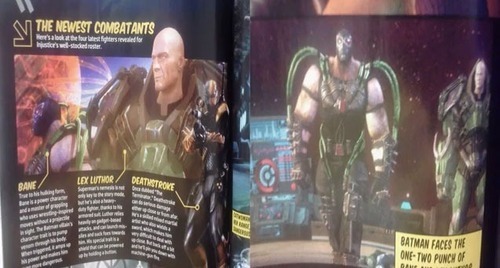 At this time, there has been no gameplay concerning the two villains but Bane is described to be a grappling character with no projectiles and can pump Vemon to get even stronger. Lex fights in his trusty armored suit and makes use of gadgets and projectiles to fight. Injustice: Gods Among Us comes out April 30th for the Xbox 360, PlayStation 3 and Wii U.